The Oakland Raiders are in the midst of building valuable team chemistry with the mix of filling in their holes on both sides of the ball. On the third day of the NFL draft the Silver and Black did exactly what general manager Reggie McKenzie said the team will do. The Silver and Black finally make their first pick at the end of day two in third round with 95th overall pick in the NFL draft and select OT Tony Bergstrom Utah. Bergstrom has a good overall strength and explodes off the line as a run blocker. He has enough athleticism to get by in pass protection. Expect him to play either at right tackle or fit inside at guard with the Raiders offensive scheme. In the fourth round and second selection for the Raiders the teams chooses wisely by capturing linebacker Miles Burris, San Diego State with the 129th overall pick. Burris is a talented overall athlete with a non stop motor; once the scouts reviewed his tape they can clearly tell he is one of the more gifted linebackers in the draft well. Last season he was on the first team All-Mountain West Conference. In 2010 he led the team with 80 total tackles with 9.5 sacks and four forced fumbles. In the fifth round they traded back to the 156th overall pick and selected defense end Jack Crawford, Penn State. Crawford has an intriguing mix of size and athleticism. He moves well laterally and can make plays. But doesn’t have the greatest speed to turn the corner but coach Dennis Allen will work with him. At Penn State last season he totaled 40 tackles and had 6.5 sacks. 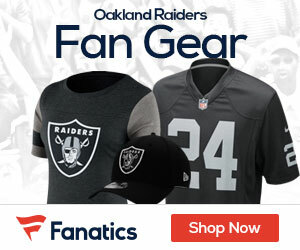 The Raiders reeled in a sure-fire steal, with their second pick in the fifth round and the 168th overall pick the team selected wide receiver Juron Criner, Arizona. Criner is a big, physical underneath receiver. He’s good catch and run target and has the ability to fight through tackles after the catch. Criner has good hands and does a nice job catching the ball away from his body. He does not have the best straight-line speed, but that is no longer a requirement to be a Raider. With the Raiders he will become a solid receiver with bit of big playmaking ability and could develop into number three receiver. In the sixth round with the 189th overall selection the Raiders selected, defensive end Christo Bilukidi from Georgia State. In his career at GSU Bilukidi had 10 sacks with 16 tackles for loss. Bilukidi is the first player in the program’s two-year history to be drafted by a NFL team. Bilukidi has a nice size and comes with good speed for his position he is (6-5, 315 pounds), ran a 4.9 seconds in the 40-yard dash and on the field has the ability to change direction. target and has the ability to fight through tackles after the catch. Criner has good hands and does a nice job catching the ball away from his body. He does not have the best straight-line speed, but that is no longer a requirement to be a Raider. With the Raiders he will become a solid receiver with bit of big playmaking ability and could develop into number three receiver. With a trade with the Lions in the fifth round the Raiders managed to grab an additional selection in the NFL draft and drafted with the 230th overall pick another player from Penn State linebacker Nathan Stupar. He could be a rotational weak-side linebacker and special teams contributor. In the NFL draft the Raiders staff did everything they can to make work perfectly. Oakland made the right decisions to try to strengthen the team’s chemistry and instill much-needed discipline as the 2012 NFL regular season inches increasingly closer. We’re in trouble. Not one of those players taken is an impact player. I can’t believe they took Criner when B.J. Cunningham was still on the board. Oh, and Jim Sorgi ? Christ. Who knows if he can play ? I live in Indiana and all the guy ever did was carry a clipboard and a do a little mop-up work during blow-outs. We will finish dead last in the West this year. We let several good players go and replaced them with unproven, unknown back-ups and also-rans. Be honest ! Every pick was a risk, a gamble. That’s the position we were in. I can see 3 or more of these guys making the team, and getting some playing time right away….